Thought I'd post these programs. 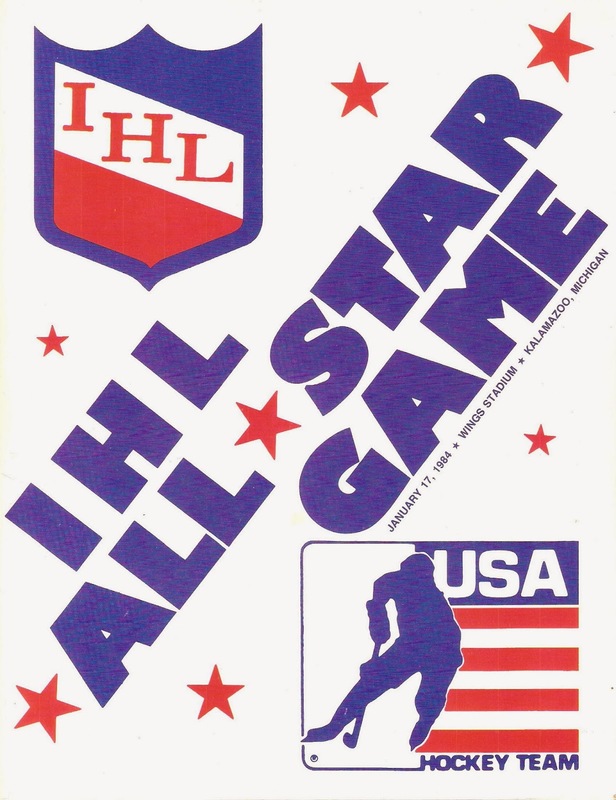 I rarely see IHL All-Star Game programs online or at flea markets, but here are the two I have. This one is from the 1972-73 IHL All-Star Game, held at Hara Arena in Dayton, Ohio. That year's format was the North Division vs. the South Division, and the proceeds for the game went to the Children's Medical Center. The program is pretty small, about 11 pages, but you can't argue with the price! Bob Perani--Started Perani's Hockey World and owned both the Flint Spirits and Flint Generals. Alternate in this game. The 1983-84 All-Star Game was held at Wings Stadium in Kalamazoo, Michigan. 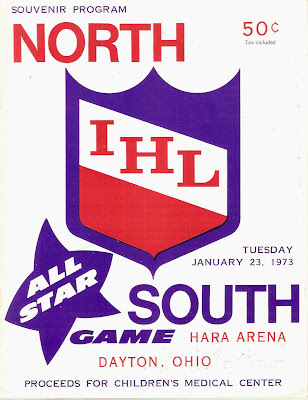 The Olympics were just around the corner, so the IHL faced Team USA in the Midseason Classic. Hopes were high for the Americans, just four years removed from the legendary "Miracle on Ice", and this game would serve as a good warm-up.